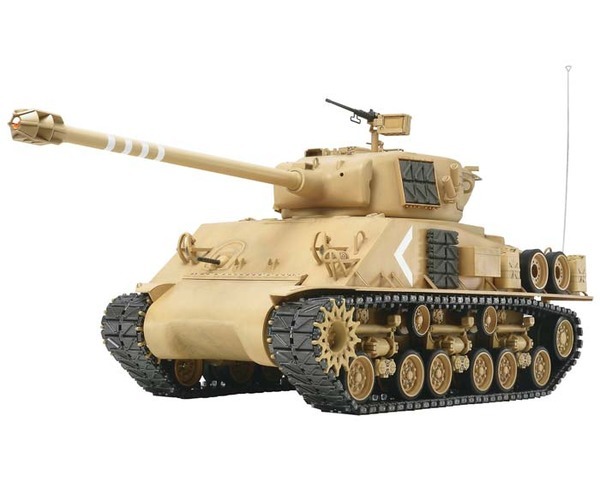 Tamiya Full Option M51 Super Sherman Tank. counter the T-55 and JS-3 tanks fielded by the Arab armies. can be rotated 360Â° with realistic rotation sounds. a 13" elevation controllable by the transmitter. Body pictured on the box is painted in Desert color scheme.